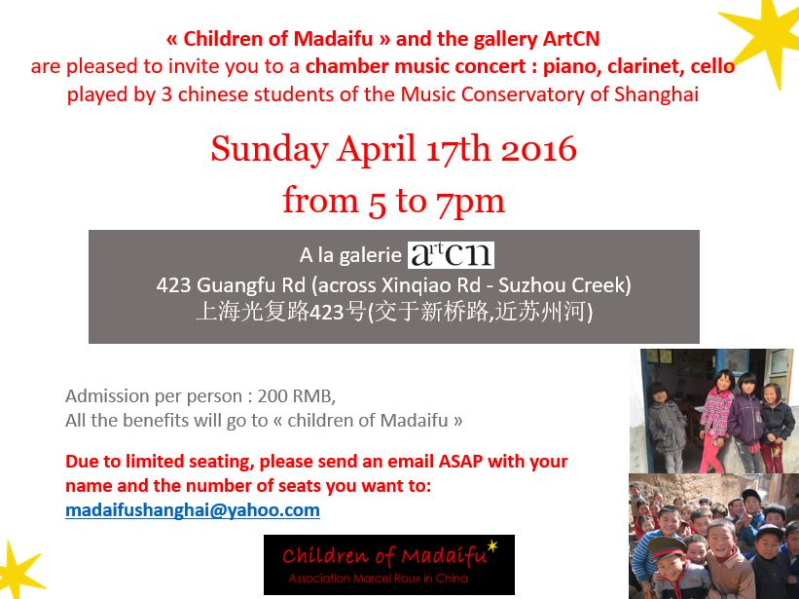 “Children of Madaifu” and the gallery ArtCN are pleased to invite you to a chamber music concert: piano, clarinet, cello played by 3 chinese students of the Music Conservatory of Shanghai. 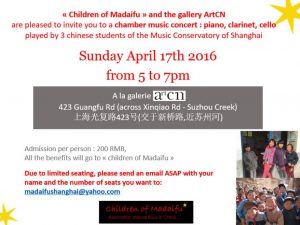 All the benefits will go to “Children of Madaifu”. Due to limited seating, please send an email ASAP with your name and the number of seats you want to madaifushanghai@yahoo.com.